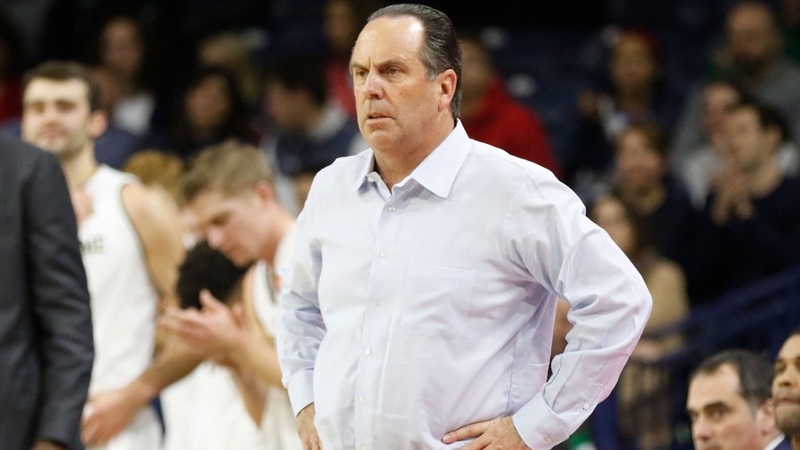 Notre Dame head coach Mike Brey spoke following the 85-80 loss to Oklahoma at Madison Square Garden in the Jimmy V Classic. “Credit to Oklahoma. They were shooting the heck out of it tonight. I know they had shooters, but they really shot it well. I’m proud of our group with all the new faces — first road game on this stage and throwing some young guys in there. I thought we battled and gave ourselves a chance. “We scored in the second half. We have been searching offensively. For us to put 80 on the board, I’m looking for some silver linings. We scored 44 in the second half and got into a good rhythm. We were throwing it into the post. You’re seeing it as I’m seeing it. It’s coming. “We kind of a went five guards for a while. We were trying to guard. They had shooters on the floor, and we were trying to switch everything. We gave up some twos during that time instead of threes. We were able to creep back in it.